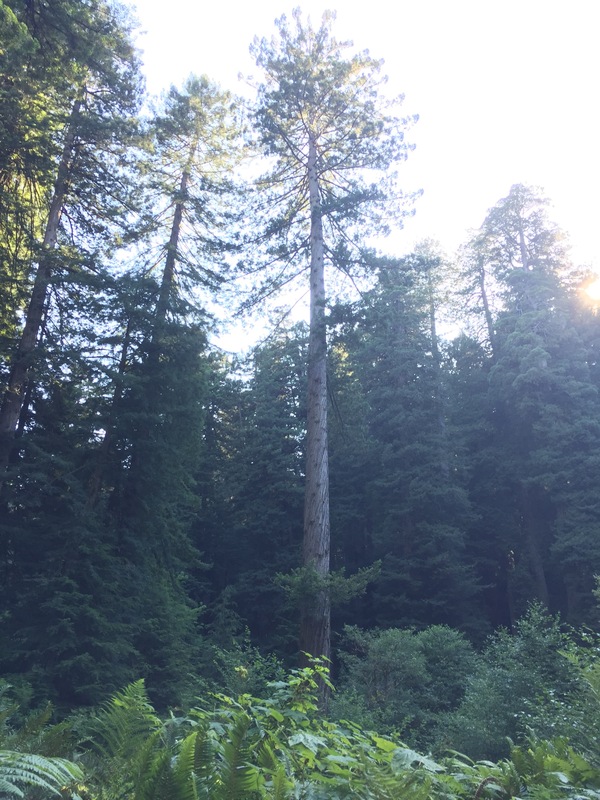 The Redwood forests, home to one of the three remaining Sequoioideae on this planet: Seqouia sempervirens, the Coast Redwoods. 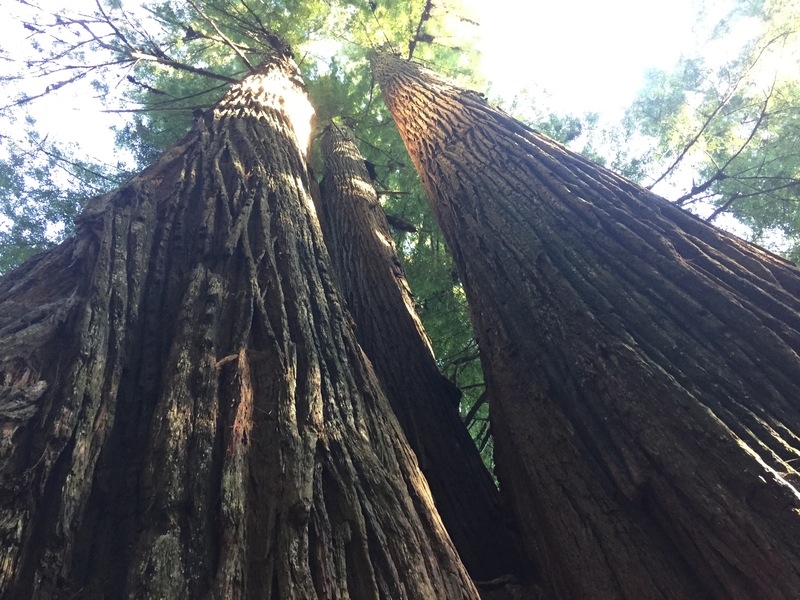 Along with the Giant sequoia, Seqouiadendron giganteum, (only found in Yosemite), and Metaseqouia, the Dawn Redwood (only found in China), they make up the only existing coniferous redwoods alive. 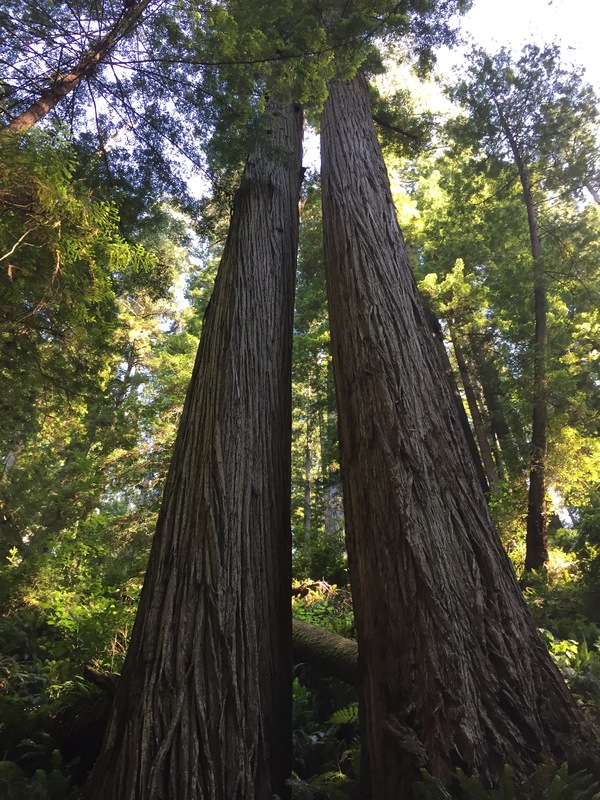 Dating back some 1.6 million years, the Coast Redwoods are some of the earliest trees known to exist, a first blueprint for modern trees. 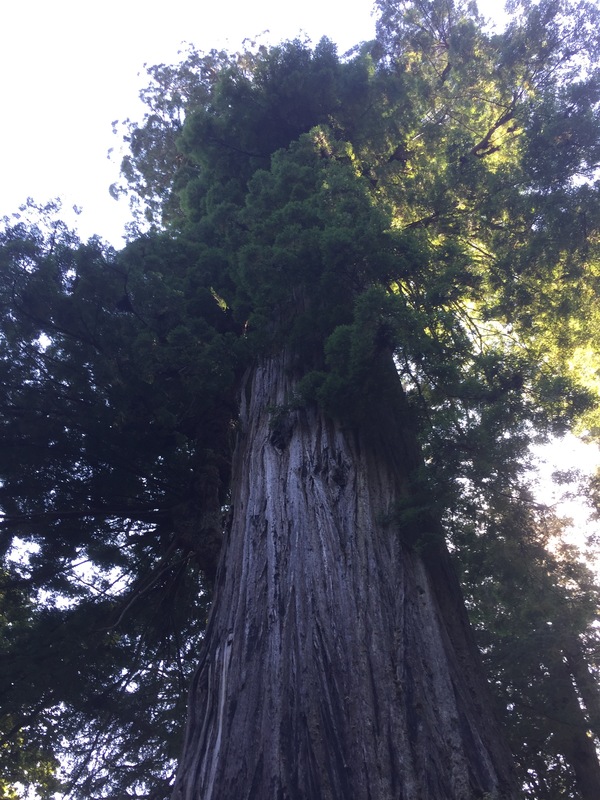 Growing to heights of almost 400 feet tall, 20 feet wide, and 3000 years old, these colossal plants are some of the oldest things living, not to mention the biggest. 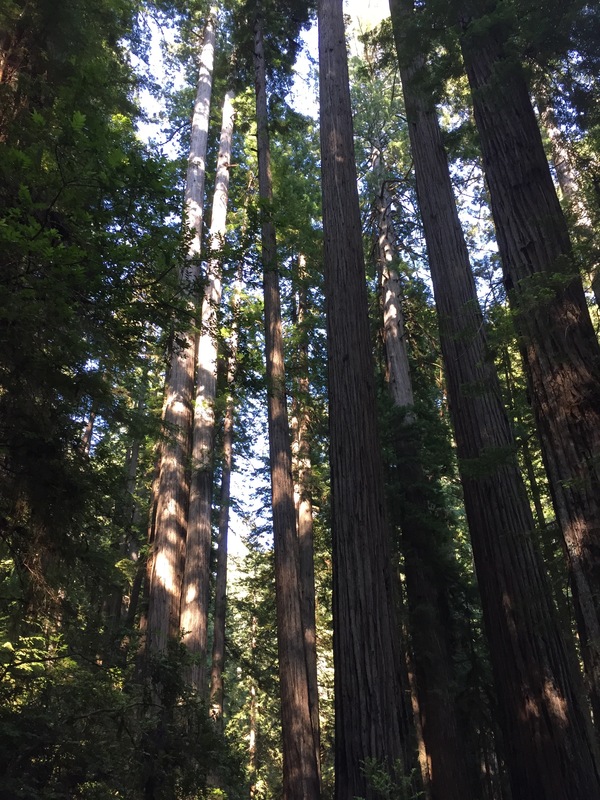 As the largest of the redwood species, the Coast Redwoods dominate the landscape completely, it’s not difficult to see why it was picked as the location of Endor, I kept expecting Ewoks to pop up from between the towering pillars of wood. We took the prairie creek trail, a short loop which starts at the visitor center and ends just a ways down the road. As soon as we entered, the outside world disappeared. The first thing you notice is the trees, expect it’s not a sudden realization, rather, it dawns upon you that your center of vision is in the wrong place; staring straight ahead, where one would expect to see the trunk of any average tree, your field of vision is dominated by humongous root systems and bases. You look up as this strikes you, and for hundreds of vertical feet, no matter how you crane your neck, all you can see is a vast field of red needles; as if you were standing on god’s pin cushion looking up, marveling at the size of the pins he so dismissively places. 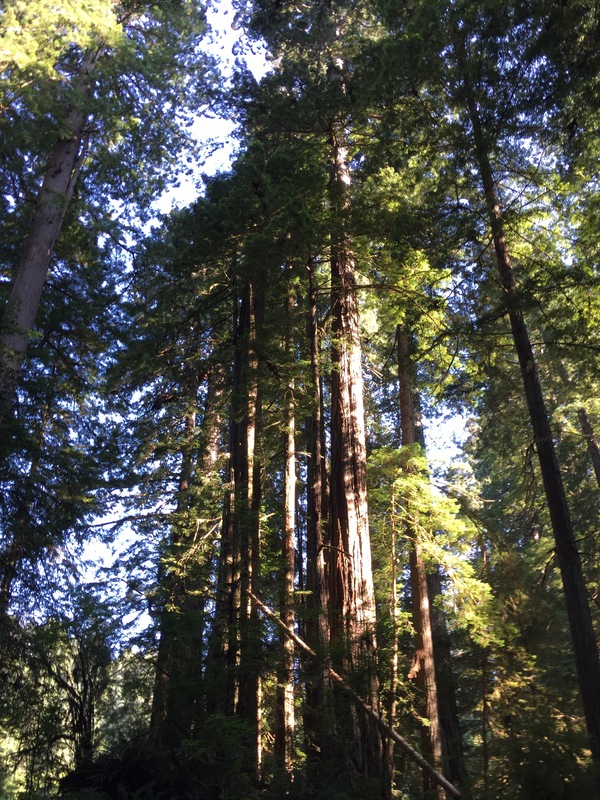 Walk a short ways an you’re completely enveloped by the forest, the trees beckon you further, and our human predilection to explore drives you deeper into the woods. 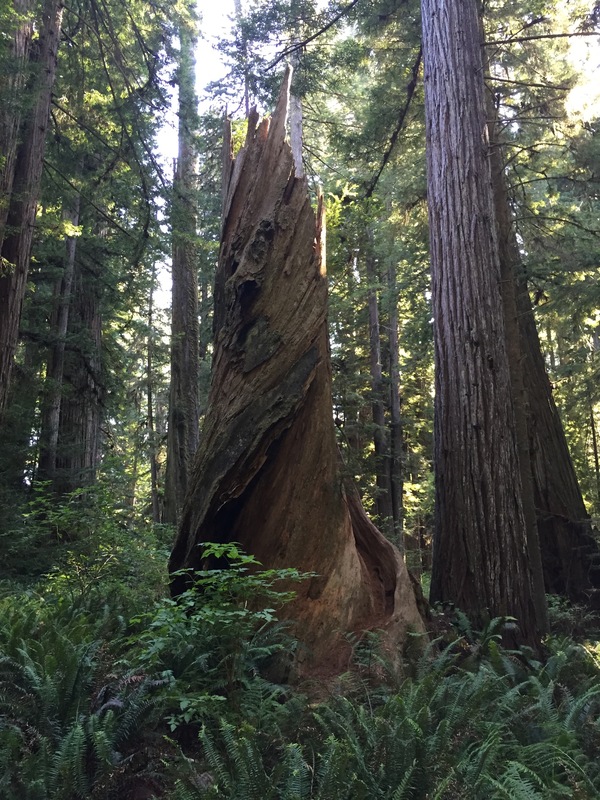 Every few feet there’s a new marvel, a bigger tree, a shattered stump bigger than most rooms, a cluster of redwoods grown into each other, forming a gnarled tangle of trunks, almost 50 feet wide. The land just feels ancient, Jurassic even. 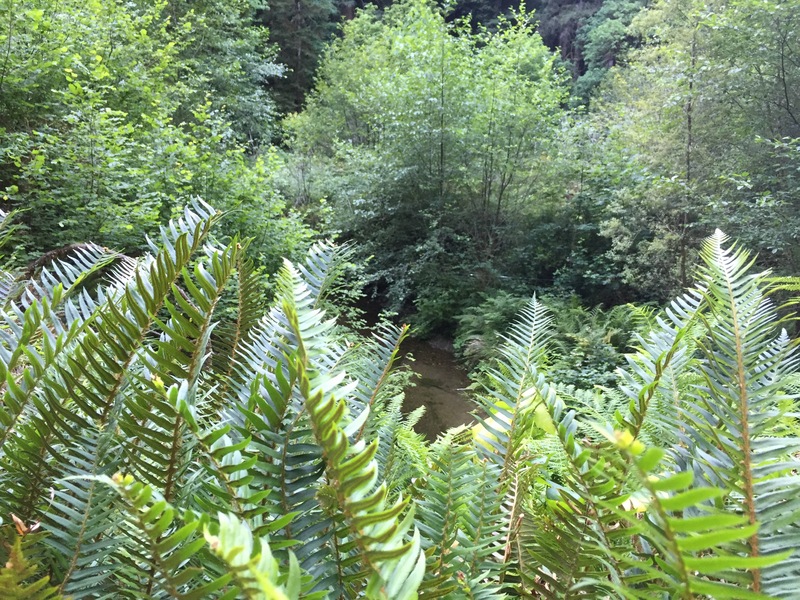 There are no weeds or grasses, no flowers growing, no vines, just ferns. 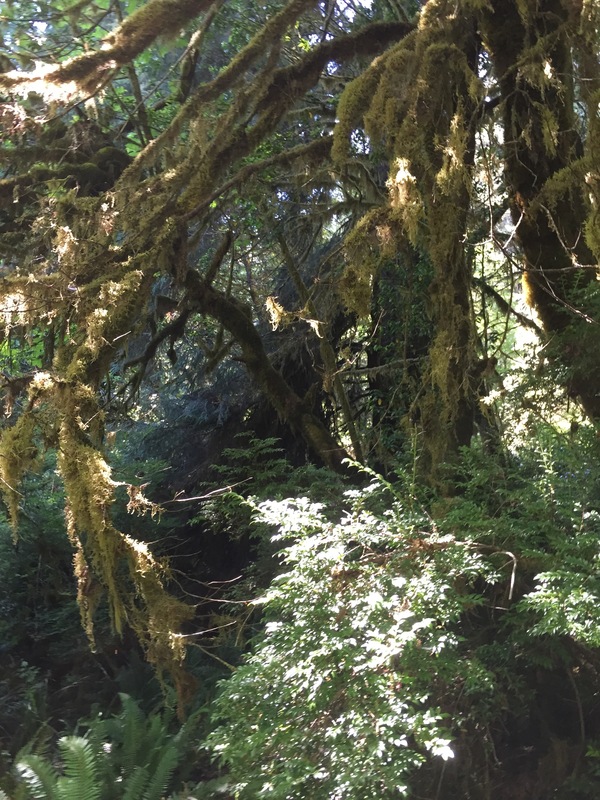 Ferns dominate the ground while the Redwoods claim the sky, patches of moss and ivy occasionally springing up where there’s fresh water flowing. The trees seem to be almost selective in their neighbors, they stake their claim to the land, and sap it of all nutrients and water. Nothing can grow amidst their matrix of roots save the ferns, and yet somehow the trees themselves grow almost like grass, often growing so close together they merge into on massive amalgam of wood. They grow far apart, they grow feet apart, they grow in clusters, they grow in bunches, it’s absolute madness. 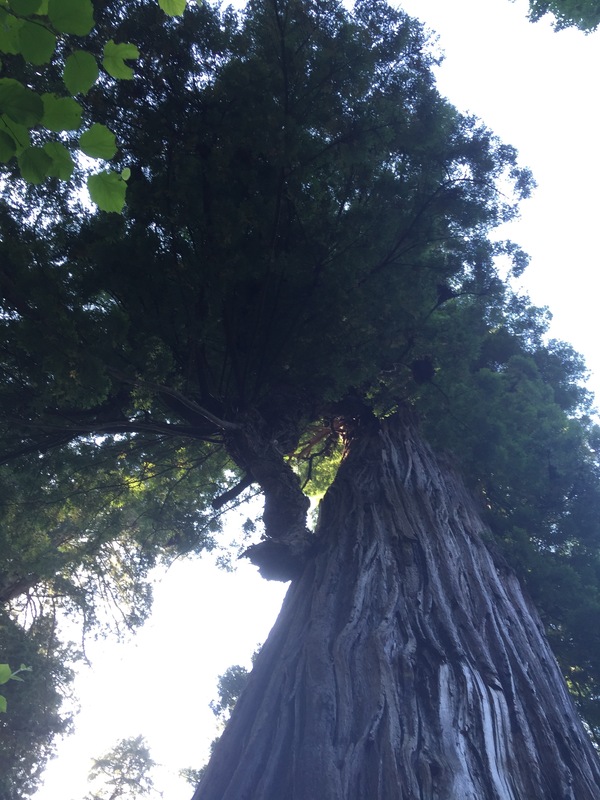 There is however, one exception to this rule: Big Tree. 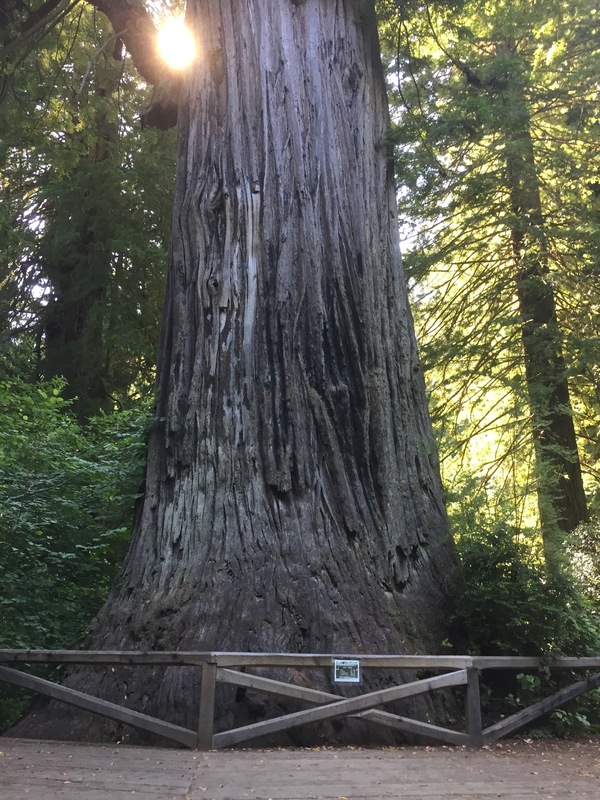 Big Tree is the largest redwood in the park, with a circumference of a whopping 70 feet, standing over 300 feet tall, this 1500 year old giant grows in a solitary patch, its roots spreading out across its claim, a proverbial King of the hill. 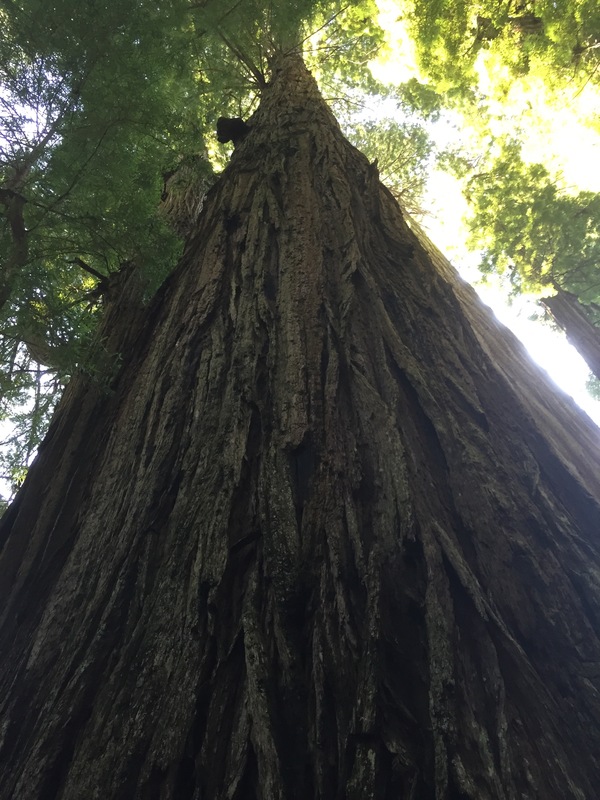 It has literally grown to such a size as to create its own clearing, attaining for itself quite an appropriate space from which to view its majestic composure. It’s almost a light gray in color, it gleams in the sun, it’s leaves catching the sunlight and becoming glowing orbs of golden green. 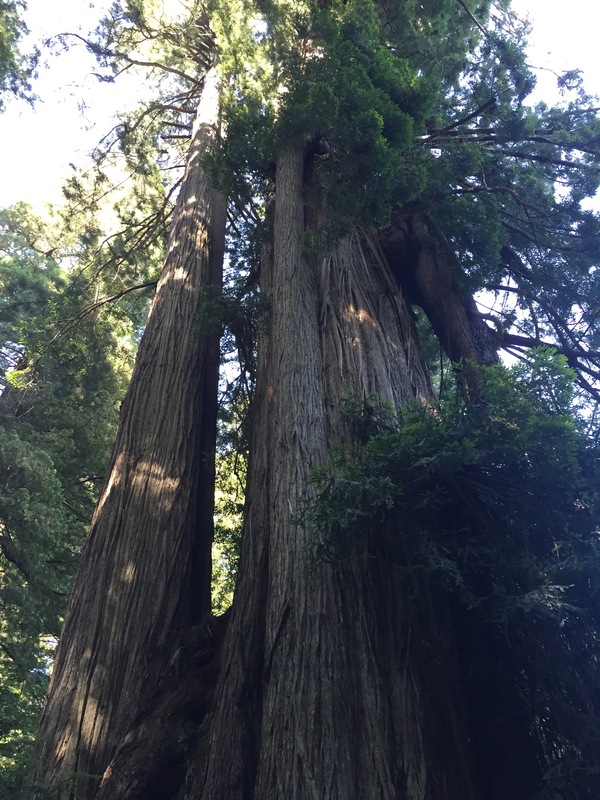 It’s hard to emphasize just how ludicrously large these trees really are. Pictures alone will never do them justice. 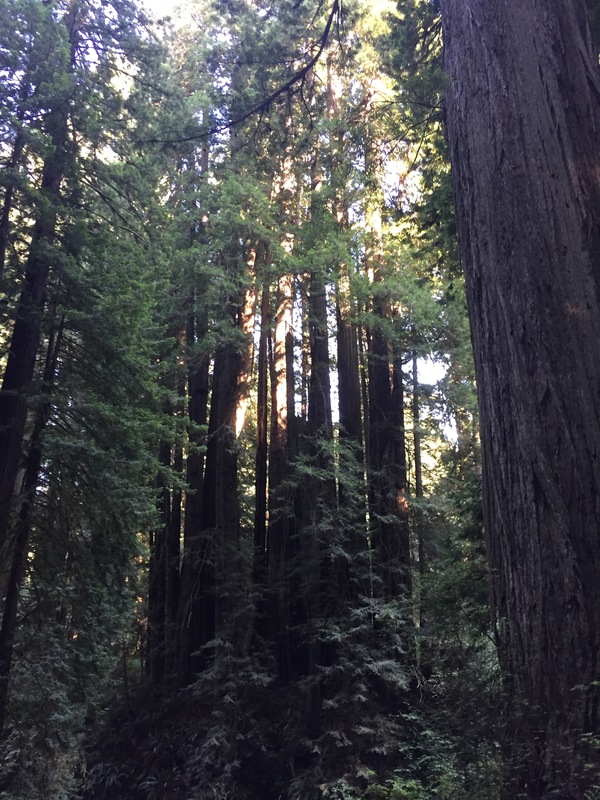 To actually be there, to smell the thick earthy quality to the air, to wander through miles of ferns listening to the wind and the distant sound of streams, and the be absolutely dwarfed by the trees; it’s an experience truly unique to this small corner of the world. 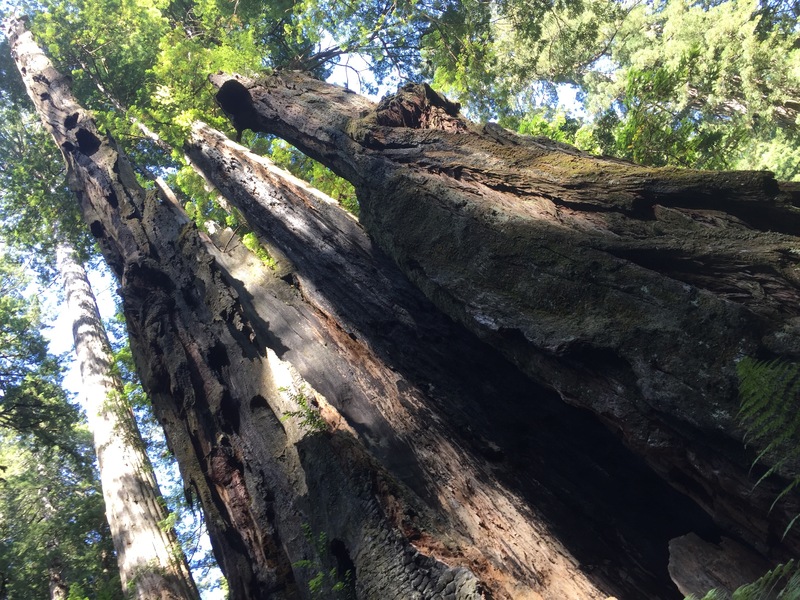 Only 5% of the old growth Redwoods remain, and though conservation efforts are in place, global warming, pollution, and other factors are taking their toll on the trees, which are receding. 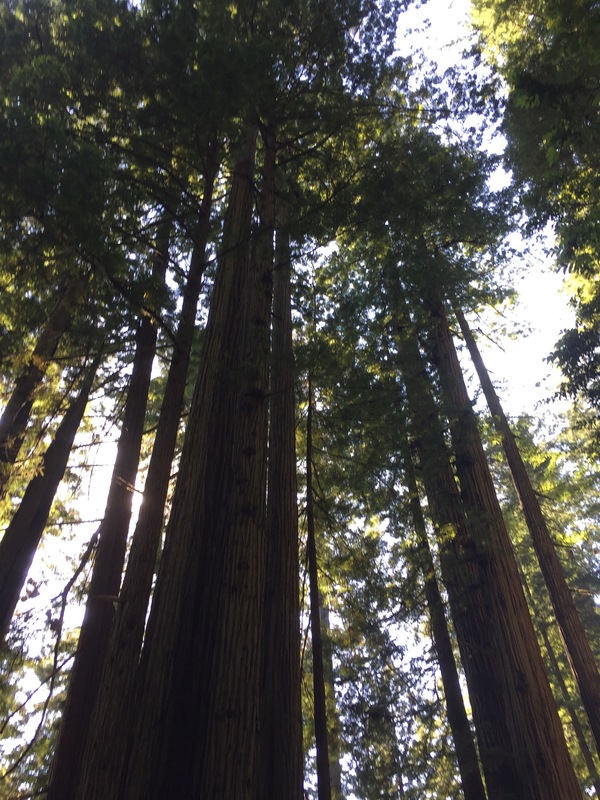 I could go on for hours about the trees, but my time is limited, and words could never accurately convey the forest. 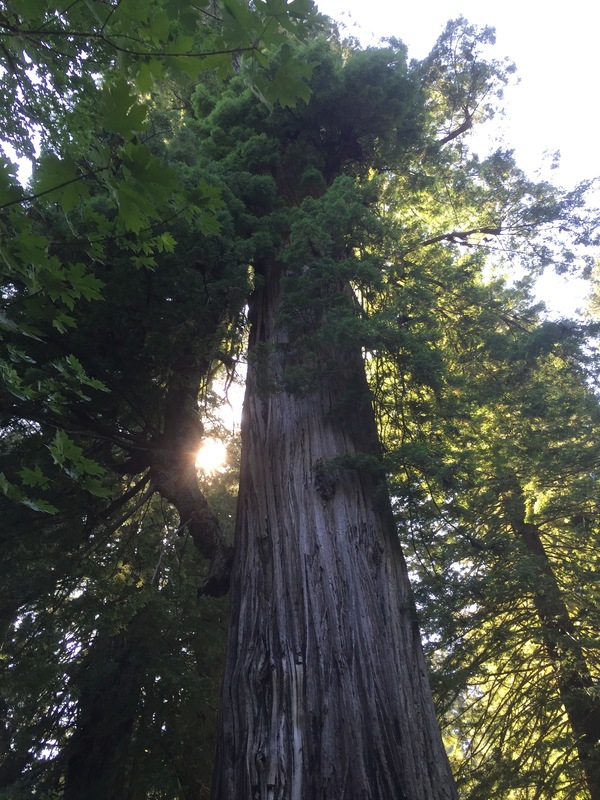 If you have the chance, see them before they’re gone, the chance to experience a world 1.6 million years old is a privilege in and of itself, but the staggering grandeur of the trees certainly doesn’t hurt.